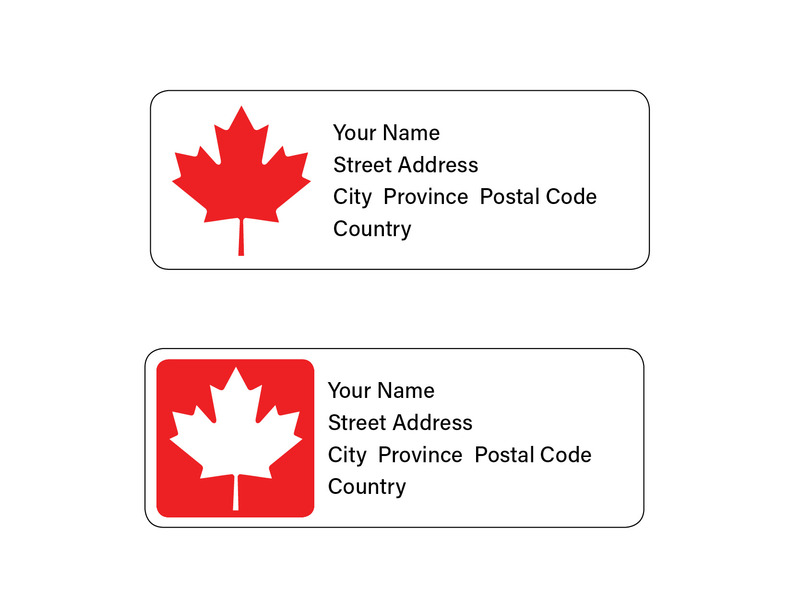 These Official Canadian Maple Leaf mailing labels are personalized just for you! Canada is the sum of its stories — the stories of every single one of us. Our stories define who we are, and who we are defines Canada. This is what we are celebrating.The official Canadian Maple Leaf is composed of 11 points, meant to represent all species of maple tree, a tree that grows natively in every province of Canada. It is an evocative symbol that will become an enduring reminder of one of Canada’s proudest moments. The symbolism of the maple leaf as a national identifier has its origins dating back to pre-confederation and is now recognized at home and abroad as distinctively Canadian.You can purchase individual sheets of 30 labels, or save by purchasing packs of 25 sheets (750 Labels), 50 sheets (1500 Labels) or 100 sheets (3000 Labels)! Just make your choice in the drop-down menu above.